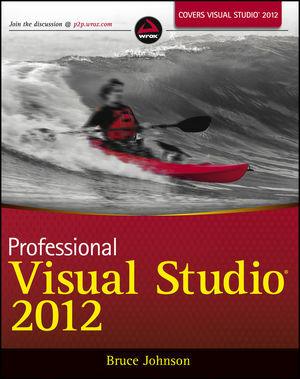 Professional Visual Studio 2012 uses a unique, IDE-centric approach to help you get up and running quickly on this exciting new release. Bruce Johnson is a principal consultant with ObjectSharp Corporation. He has been published in a wide variety of technology periodicals and has given more than 500 presentations at user conferences. In the second Note on the page, the third sentence, "...they will be used for different shortcut key mappings."